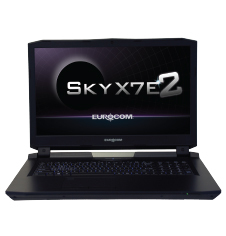 We revisit the Clevo P775DM1 as the Eurocom Sky X7E2 with an unlocked LGA 1151 CPU and the fastest Pascal GPU to date. The GTX 1080 is a powerhouse of a GPU. Surprisingly, 3DMark Fire Strike benchmarks place our Eurocom test unit consistently ahead of even our GTX 1080 Founder's Edition for desktop systems and it also edges out our MSI GT80 Titan with GTX 980M SLI graphics. Users can expect a raw performance boost of about 70 percent when moving up from a single GTX 980 or about 120 to 130 percent when moving up from a GTX 980M. It's been repeated ad nauseum around the web, but the Pascal series is a true generational leap over the previous Maxwell series. The Core i7-6700K and GTX 1080 are some of the most powerful consumer processors available and they are generally not offered together from other gaming notebook manufacturers. 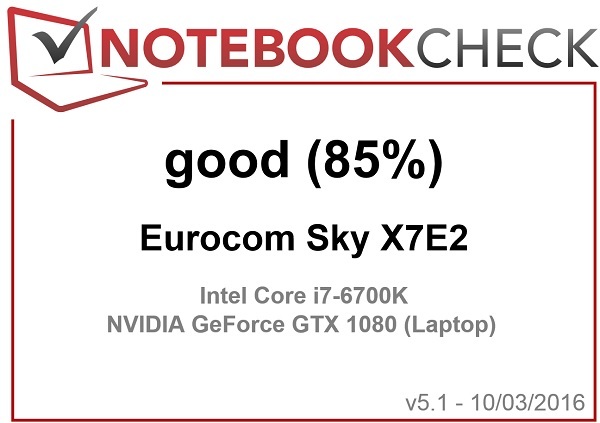 This is enough to make the Sky X7E2 one of the fastest 17-inch gaming notebooks available not accounting for systems with GTX 10 SLI options.